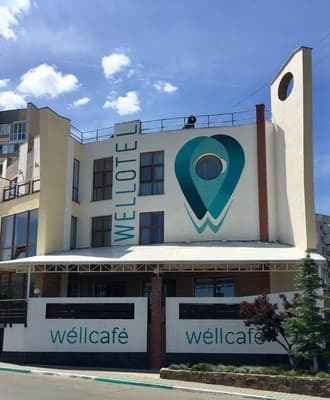 Wellotel is located in the city of Chernomorsk, a 5-minute walk from the Black Sea coast. Private parking is available. Free Wi-Fi is connected. 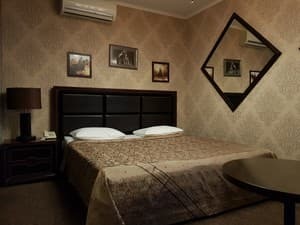 Each room is equipped with air conditioning and a TV with cable channels. Each room at the Wellotel is designed in a design style. The private bathroom with shower includes free toiletries and a hairdryer. There is also a bar. The 24-hour front desk offers a tour desk. The railway station of Chernomorsk is 5 km away. Odessa International Airport is 27 km away. The railway station of Chernomorsk is 5 km away. Odessa International Airport is 27 km away. 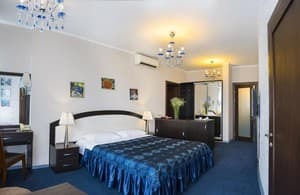 The hotel can be reached by a minibus that rides from the station, or by taxi.